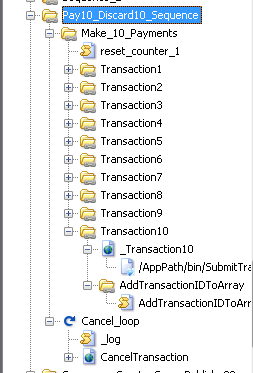 Assuming that users may post transactions of different kinds, I created 10 different sub-containers – one per transaction type. 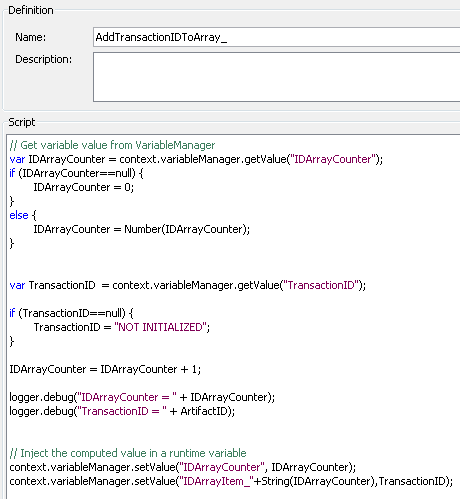 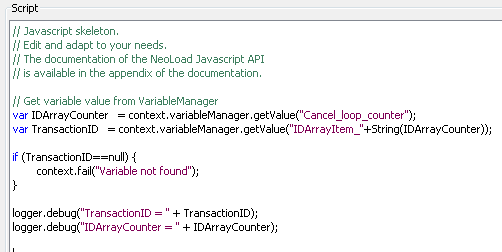 Each transaction request, accepted by the server side, receives a response with unique “Transaction ID”, which is generated dynamically and can’t be hard-coded. 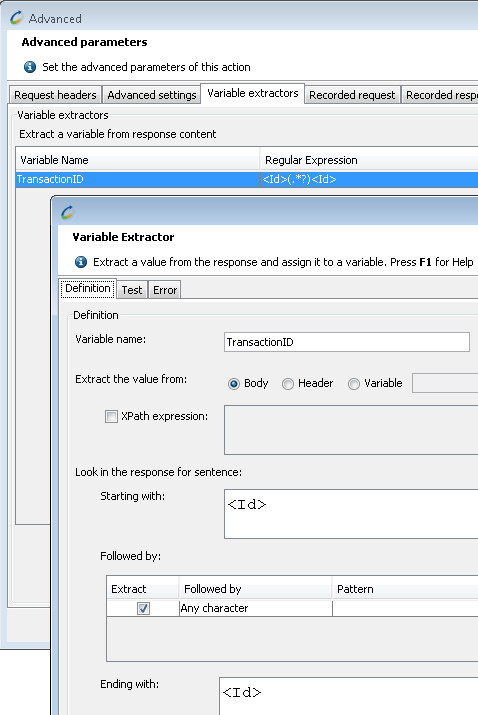 So we need to extract that value from the response and store it in a variable. 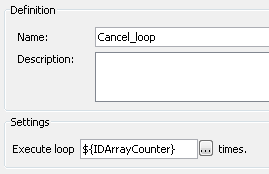 – And this is how many times we’re going to execute cancellation loop, which discards transactions one by one.